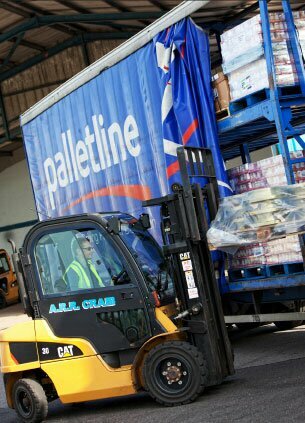 We are proud members of the Palletline organisation – the UK’s leading pallet delivery network. Nightly trunks to hubs throughout the UK ensure that we have partners in every area of the UK, Ireland and Europe – ARR Craib operates the Scottish Hub in Cumbernauld. We can deliver your pallets and boxes timeously and safely. Self offload and two man deliveries are available – with freight tracking and online POD’s as standard. The pallet networks are a huge success story and Palletline has been at the forefront since its inception, leading the market in innovation and service standards. ARR Craib Transport Ltd operates the Palletline areas covering Aberdeen and the North East of Scotland and the Cumbernauld, East Kilbride and Motherwell areas and can arrange both deliveries and collections from every UK and Irish postcode. In addition, ARR Craib is pleased to offer pallet services to its customers in North East England.